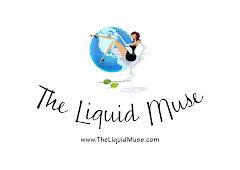 I am excited to bring you The Liquid Muse contributors, from time to time. I’m fortunate to meet other writers who share similar interests and generously relay their intoxicating tales with us! This story comes from Shannon Kelley Gould, who lives and drinks wine in Santa Barbara, California, where she is an associate editor, columnist, and photographer at the Santa Barbara Independent. Her work has appeared in the Arizona Republic, Woman’s Day, and Vanity Fair. My skills as a wine drinker may be undisputed, but, as I learned during my one-day stint on the other side of the bottle, as a winemaker, well, not so much. During my day at Jaffurs Winery, which was deep in the throes of Harvest, I narrowly escaped falling into a bin of fermenting Bien Nacido Syrah grapes while trying to wipe down the fruit clinging to the bin’s sides. I inhaled a whiff of the nosehair-incinerating carbon-dioxide-and-alcohol combo emanating from said grapes so potent it nearly knocked me into said bin. And I shot myself in the face with a hose whose nozzle, it must be stated, suffered from recklessly counterintuitive design. And all that before lunch. On the upside, I learned the proper pairing for pizza. Among this crowd, anyway, pepperoni goes perfectly with Syrah: in particular, Jaffurs’ 05 Ampelos and Alban’s ’96 Edna Valley. It was a busy, seven-ton harvest day at Jaffurs, a small production winery in downtown Santa Barbara that specializes in Rhone varietals, and the winemakers were literally up to their eyeballs in grapes—which may serve to explain why even my novice hands were appreciated. We spent the morning tending the already fermenting grapes harvested earlier in the week, and, after the pressing down, wiping down, and covering up was complete, moved on. At the end of the day, my hands, my clothes, and my shoes were purpled, which was a nice break for my teeth. A break that was remedied soon enough. Who is The Liquid Muse? Order NOW for your favorite mom-to-be or bride-to-be!